With 5000 m² of rainforest variety is guaranteed. 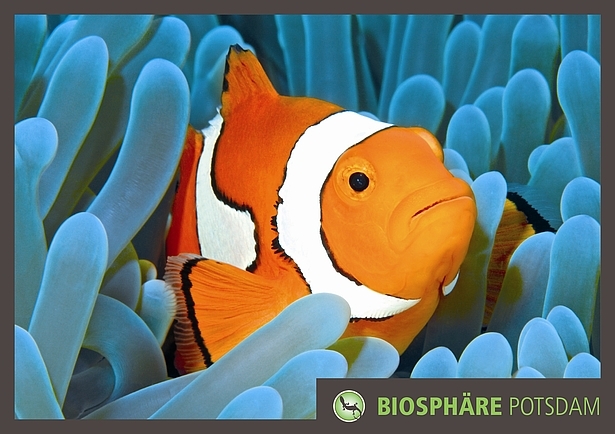 In the Biosphere Potsdam you can take a journey of exploration, which leads you right in the middle of the colorful diversity of the tropical forests. Our changing special exhibitions, events, and several topical guided tours let you discover a new side of the Biosphere every time you are visiting. Our gastronomical offers make every trip perfect. Furthermore we are the right contact, if you are planning an exceptional private or corporate event, or a kid’s birthday party, that everyone will remember. 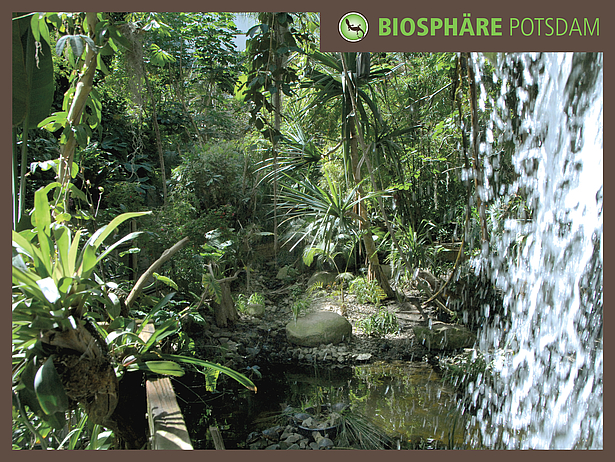 The most beautiful tropical plants of the world can be seen in the Biosphere Potsdam. Orchids, epiphytes and bromeliads and many other species of plants you can discover and explore. With temperatures between 23°C and 28°C and a high air humidity of almost 80 %, there is an everlasting summer in the Biosphere. Yet you can also experience the changes in the tropical daytime climate – there is an hourly thunderstorm and it rains on the forest pond. Our rainforest is home to not only thousands of plants but also variety of different animals. Reptiles and amphibians crawl through branches in their terrarium, insects climb from twig to twig, and sometimes it’s hard to differentiate the insect from the twig. 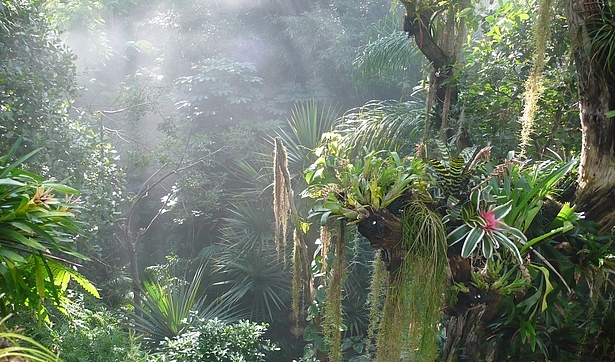 Birds fly through the air in the tropical hall and sit in the treetops and chirp. In the new special exhibition “Aquasphere” mudskippers hop through the mangrove woods and clownfish swim around their coral reefs.